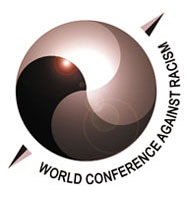 "We remain confidant...that this World Conference against Racism, Racial Discrimination, Xenophobia and Related Intolerance can forge a new global awakening, and conclude an agreement establishing a mutually acceptable mechanism to redress the damages caused over the centuries." Dr. Carlyle G. Corbin, Jr. I bring warmest greetings from the government and people of the Virgin Islands, and wish to congratulate you as Minister for Foreign Affairs of South Africa on your election to chair this World Conference Against Racism, Racial Discrimination, Xenophobia and Related Intolerance. My delegation joins with the many expressions of condolence on the passing of our elder Govan Mbeki, a hero to our people throughout the diaspora. We wish to thank the member states of this Assembly for facilitating our participation in these historic deliberations as an associate member of the Economic Commission for Latin America and the Caribbean UN-ECLAC. The themes of this conference are of particular relevance to the Virgin Islands, emerging as we did from centuries of slavery as the former Danish West Indies. In fact, it was only a few months ago, on 3rd July that we celebrated the 153rd anniversary of our emancipation from that brutal system - an event we commemorate each year to pay homage to the bravery of our forefathers in taking back their freedom. Our ancestors, who originated from the area between Upper Guinea through Angola of the western part of this beloved continent, had been forcibly uprooted from their homes and transported via the infamous trans Atlantic slave route to the Caribbean. They were but a portion of the millions of Africans who were taken against their will and forced into slavery - clearly a blatant abuse against humanity. As so eloquently observed by the non-governmental organization Africa Action, "the enslavement of Africans was a unique tragedy in the history of humanity which is unparalleled not only because of Its abhorrent barbarism, but also in terms of its enormous magnitude, its institutionalized nature, its transnational dimension, and especially its negation of the very essence of the human nature of Africans and African descendents. " UNESCO reminds us that this barbaric system could not have lasted as long as it did had it not been accompanied by an ideology of moral justification and a legal apparatus as its underpinning. In the face of these facts, we concur with the view expressed in the Declaration of the African Regional Preparatory Meeting held in Dakar, Senegal last January that "the first logical and credible step to be taken at this juncture of our collective struggle is for the World Conference against Racism to declare solemnly that the international community as a whole fully recognizes the historical injustices of the slave trade, " and that "colonialism and apartheid are among the most serious and massive institutionalized forms of human rights violations." We note that some express an apprehension in addressing the issue of remedial action, despite this overwhelming evidence. We note that others appear to practice a sort of selectivity of memory of the objective reality of their role in this difficult and tragic period of history. We remain confidant, however, that this World Conference against Racism, Racial discrimination, Xenophobia and Related Intolerance can forge a new global awakening, and conclude an agreement establishing a mutually acceptable mechanism to redress the damages caused over the centuries. Among the many issues contained in the draft Programme of Action before us is the call for "the creation and implementation of a programme to restore to the country of origin the many invaluable art objects, historical artifacts, and documents that have been unjustly removed from Africa and the Americas... over the centuries, and the provision of financial assistance to equip the relevant states with museums and related facilities that will be required to preserve and store those articles properly. " In this connection, my government has entered into two agreements with the Kingdom of Denmark for the preservation and repatriation of the historical documents and artifacts removed from the former Danish West Indies during the period of Danish rule. It is our view that the consummation of these two bilateral agreements with Denmark, and a third under consideration, serve as an important first step, in the full implementation of proposed remedies contained in the draft programme of action of this conference. We applaud the Government of Denmark for their enlightened cooperation thus far, and look forward to the expansion of such programmes in future. Throughout the draft declaration and program of action, and in a number of the national statements in the general debate, are numerous acknowledgments of colonialism as a past practice. But colonialism should not be viewed in the past tense alone. It is very much a present condition as well. There remain some 17 non-self-governing territories, mostly in the Caribbean and Pacific regions under formal review by the United Nations General Assembly under its Agenda Item 18. A Special Committee on Decolonization which was so important to the successful self determination and subsequent emergence of African and Caribbean states in the 1960s through the independence of Namibia at the beginning of the 1990s still remains seized on this matter. The political inequality of these remaining territories is an unfortunate holdover from the last millennium, and still very much a feature of the new millennium. The General Assembly has a sacred obligation to ensure that the people of these territories achieve absolute political equality consistent with international law. The successful constituent election in East Timor on 30th August is an example of the successful implementation of that mandate, and evidence of the critical role the United Nations can play in this process if the political will exists on the part of the relevant member States to implement their international legal obligations. In this connection, we are pleased that negotiations have resulted in the retention of the paragraph in the draft Declaration of this conference referencing the 1960 Decolonization Declaration, consistent with the United Nations Charter, the International Covenant on Civil and Political Rights, the first International Decade for the Eradication of Colonialism declared by the General Assembly from 1990 - 2000, and the current International Decade for the Eradication of Colonialism for the period 2001- 2010. Decolonization remains the unfinished business of the United Nations. We sincerely hope that delegations bear this fact in mind with a renewed sense of awareness. "In this great future before us, we - the survivors - cannot - indeed, we will never forget - the past." "With an iron will, we can - and will - turn this past misfortune into our advantage."